A Suffolk County homeowner who fell behind on her mortgage was sued by the mortgagee, IndyMac Bank, in a foreclosure proceeding that just produced one of the most startling results I have ever seen in foreclosure litigation. The judge determined that the lender engaged in “unconscionable, vexatious and opprobrious” conduct in attempting to foreclose the property. The judge concluded that the appropriate penalty was to cancel the mortgage in its entirety, essentially punishing the mortgagee and bestowing a windfall on the homeowner. Thus, the mortgagee, even though they brought the foreclosure action against the homeowner, ended up losing the entire value of the mortgage. The case, IndyMac Bank v. Yano-Horoski, was decided Novermber 19, 2009 by Suffolk County Supreme Court Justice Jeffrey A. Spinner. In a stinging and especially eloquent decision, Judge Spinner highlighted the relatively new law in New York which mandates pre-foreclosure settlement conferences between lenders and borrowers of sub-prime loans, and the problems caused by IndyMac’s wantonly-indifferent attitude towards participating in those conferences. Judge Spinner determined that IndyMac refused to negotiate, and instead, treated the homeowner in a “harsh, repugnant, shocking and repulsive” manner by spurning what he thought could have been a “win-win” situation. The homeowner, Ms. Yano-Horoski lives in East Patchogue. She took out a $292,500 mortgage in 2004. The lender apparently refused to participate in any kind of settlement on the ground that the homeowner defaulted on a forbearance agreement. However, it later came out that the lender did not even mail the forbearance agreement to the homeowner until after payments were due. To make matters worse for IndyMac, they claimed that $527,437 was due when almost all other documents indicated that the amount actually due, was less than $300,000. In addition, Judge Spinner determined that merely sanctioning the lender was not enough and would not benefit the homeowner. The law firm of Steven J. Baum, who we regularly interact with in our bankruptcy and foreclosure defense practice, represented IndyMac. What is important about this case is that it illustrates the changing tide against mortgagees, lenders and banks. Whereas years ago mortgagees got away with murder, now judges won’t tolerate any improprieties. Thus, there is all the more reason to defend foreclosure proceedings if the lender engaged in any bad faith conduct. An experienced foreclosure defense attorney can review a foreclosure situation and advise the homeowner of their legal rights. I previously wrote that Many New York Foreclosure Suits Are Dismissed Because They Are Defective . In a case earlier this year, I personally was successful in having the Nassau County Supreme Court dismiss a foreclosure proceeding on technical grounds. 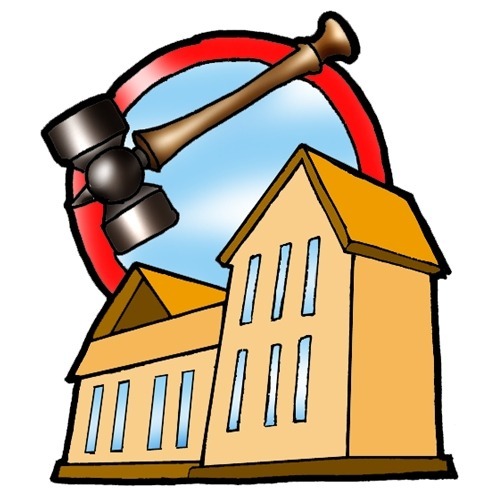 See Long Island Foreclosure Case Dismissed!